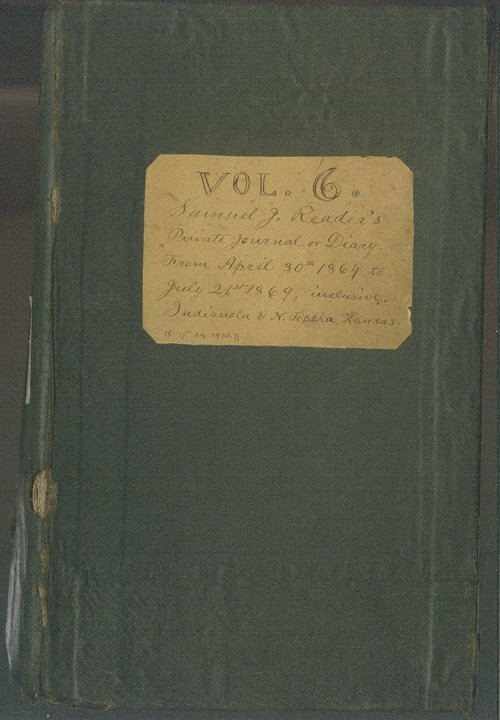 This volume of Samuel Reader's diary covers April 1864-July 1869. Reader also referred to this work as his private journal and day book. Reader lived in Indianola, Kansas, in Shawnee County. In addition to English, Reader writes the diary in French and in shorthand.